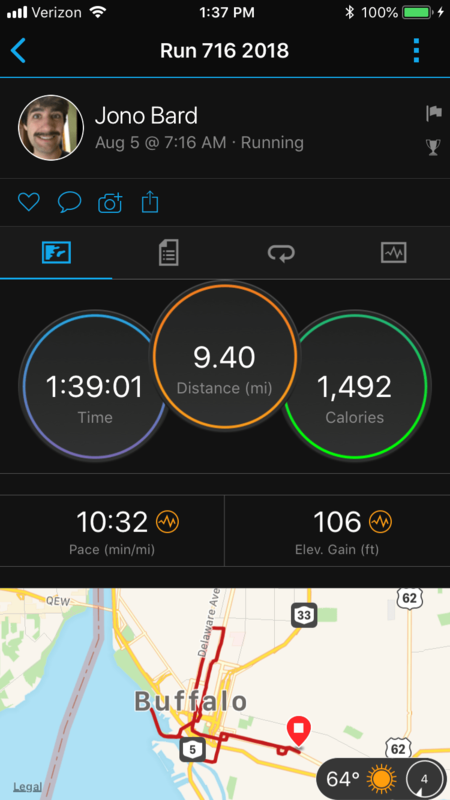 2 Fat Nerds - Run716 2018 In The Books! 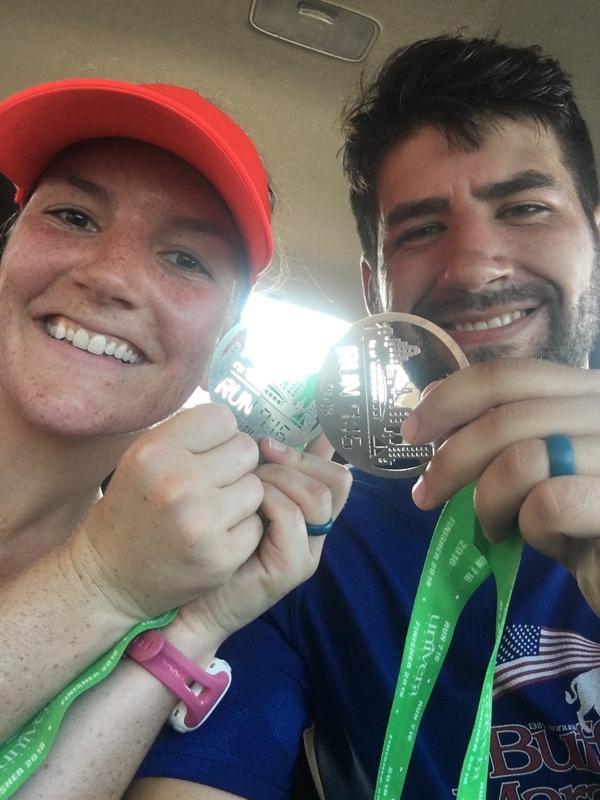 Home/Races, Running/Run716 2018 In The Books! Last year Ellie and I set a personal best of 1:37 on the race, and this year went pretty close to that mark. We finished right at 1:39 (technically like 1:28:59). This, to me, was a major win because unlike last year, it was significantly warmer and more humid as compared to the ideal conditions we had last year. Truth be told last year felt significantly better. We ran last year a lot stronger, didn’t need walk breaks, and felt pretty good when we finished. This year, although we ran a couple of minutes slower through the duration of the race, our speed while running was much quicker. Maybe those track workouts are showing some signs of success? We did lose time at the water stops and a couple of quick breaks to catch our breaths after some hills, which was probably weather related. But really, we just didn’t feel quite as good. Ellie was a bit sore from a workout the day before, and wasn’t feeling 100% in general. I was a bit stuffy and tried using a breath-right-strip, but it flew off my nose after the first mile. Oh well! In general, we loved the race again this year. It is well put together, well-organized, plenty of race support, and the route is pretty good as well. The first 5k of the race is basically uphill, but that just means the second half of the course is downhill and flat. No complaints. This will certainly be a race we will make a point in running every year.